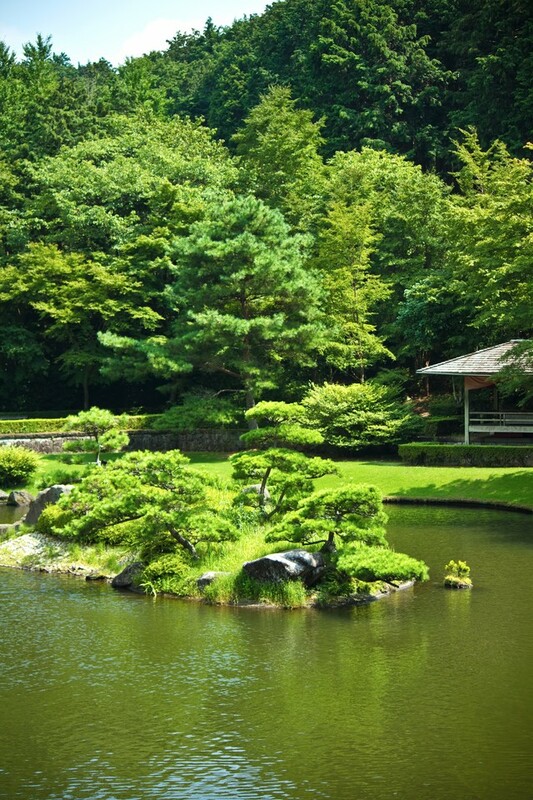 Different from Western gardens, Japanese gardens do not aim for symmetry. They try to mimic natural landscapes within a small space. One is Tsukiyama and the other is Kare sansui. Tsukiyama gardens have hills, streams, forests, stone lanterns and tea houses. Natural trees, plants, flowers, water, rocks and sand are used to create a landscape. Famous Tsukiyama gardens are Nijo jo Castle Garden in Kyoto and the East Garden of the Imperial Palace in Tokyo. Kare sansui gardens are seen in Zen temples. They feature groups of rocks and raked sand. The rocks represent mountains and the sand represents the stream of water. 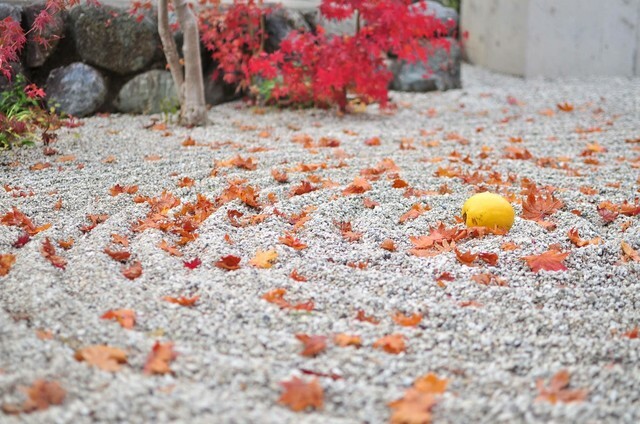 Ryoanji temple in Kyoto is a typical Kare sansui garden.